Materials with a negative index of refraction (NIR) were originally proposed in 1967 by V. G. Veselago, "The Electrodynamics of Substances With Simultaneously Negative Values of e and m," Usp. Fiz. Nauk 92, 517-526 (1967) [English translation: Sov. Phys. Usp. 10, 509-514 (1968)]. Veselago coined the phrase "left-handed substance" in this paper. These materials are often known as Left-Handed Materials (LHM). The Poynting vector S is in the opposite direction to the wave vector k in an NIR material. The wavevector k is in the direction of the phase velocity, while the group velocity points in the opposite direction. He states that NIR is equivalent to "substance with negative group velocity." Reversed Doppler Effect. A detector moving in an LHM would perceive fewer wave fronts if it was moving towards the source because of the reversal of the phase velocity. The opposite occurs if the receiver is in an LHM moving away. Reversed Cerenkov Effect. The cone of light emission in an LHM will be backward relative to the direction of motion of the particle. Negative Refraction. At a boundary between two media, 1 and 2, the tangential components of E and H are continuous. However, the normal components can change sign if the two media have opposite signs for the index of refraction. This will cause the refracted ray to be on the same side of the normal as the incident ray. Note that there is no change in the reflected ray. n=-1 Flat Lensing. Predicts that a flat slab of n=-1 material will focus rays from a point source a distance l from the left-hand side of the slab to a point image a distance d-l from the right-hand side of the slab, where d is the slab thickness. Pendry (2000) later predicted that these images would be "perfect" under ideal circumstances. Reversal of Optical Refracting Elements. Predicts that n=-1 concave and convex lenses will switch roles as compared to n>0 versions of these lenses. Reversal of Radiation Pressure. A monochromatic wave in an LHM is a stream of photons with k pointing toward the source, and p = hk. When absorbed, these photons will impart negative momentum and create radiation tension rather than pressure. Dispersion Requirement. Veselago argues that e and m cannot be negative at all frequencies because it would lead to a negative total energy W.
Compelling experimental evidence for NIR/LHM behavior has been seen through negative index passbands, negative refraction, and apparent super-resolution imaging. These demonstrations have been made at room temperature in artificial loop-wire, dual circuit, and photonic crystal media. An important prediction for NIR materials is evanescent wave amplification under the ideal condition of n = -1 + i 0 precisely. This property will permit, in principle, image reconstruction with arbitrary precision and detail as demonstrated, for example, in calculations of flat-lens transfer functions. However, these theoretical works also show that ideal evanescent wave amplification suffers from three important constraints; the real part of n must be -1, exactly, the metamaterial must be thin (compared to the wavelength) to minimize retardation effects, and the imaginary part of n must be much less than 1, so that there is very little damping. The first two constraints can be satisfied, in principle, with appropriate engineering of existing metamaterials. However, significant losses have a debilitating effect on most designs. We utilize superconducting metamaterials to minimize loss and enable new properties. Our work has established the field of superconducting metamaterials and shown how it can be used to create novel manipulations of RF and microwave signals. Superconductors also introduce strong nonlinearity, and this too can be exploited to create remarkable new effects. Prof. Anlage talk: "Physics and Applications of Negatively Refracting Electromagnetic Materials"
Our work has focused on developing low loss and extremely nonlinear superconducting metamaterials. The work is supported by the National Science Foundation NSF/ECS-0322844, the NSF-GOALI program through grant #ECCS-1158644, and the DNI Post-Doc program. 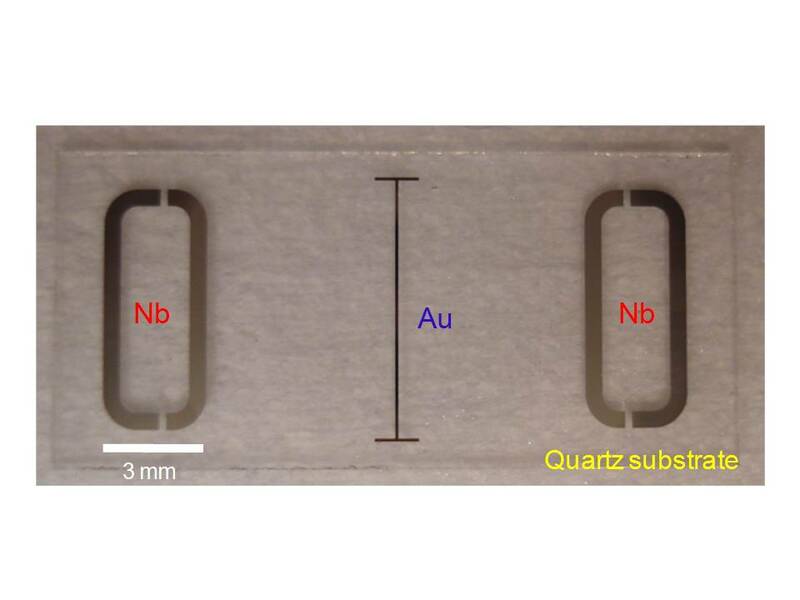 We thank Peter Kneisel and Larry Turlington of Jefferson Lab for their assistance in the fabriaction of our bulk Niobium superconducitng metamaterials. 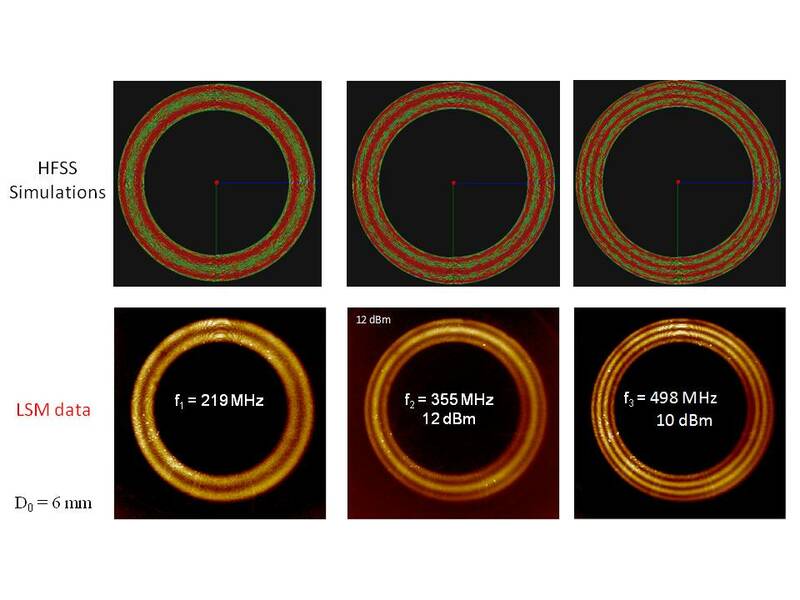 A. P. Zhuravel, C. Kurter, A. V. Ustinov, and S. M. Anlage, “Unconventional RF Photo-Response from a Superconducting Spiral Resonator,” Phys. Rev. B 85, 134535 (2012). pdf.